Gelish Colors of Paradise Collection Available Here! These colors are amazing! The blue and purple are probably the funnest shades I’ve seen yet from the color scheme! 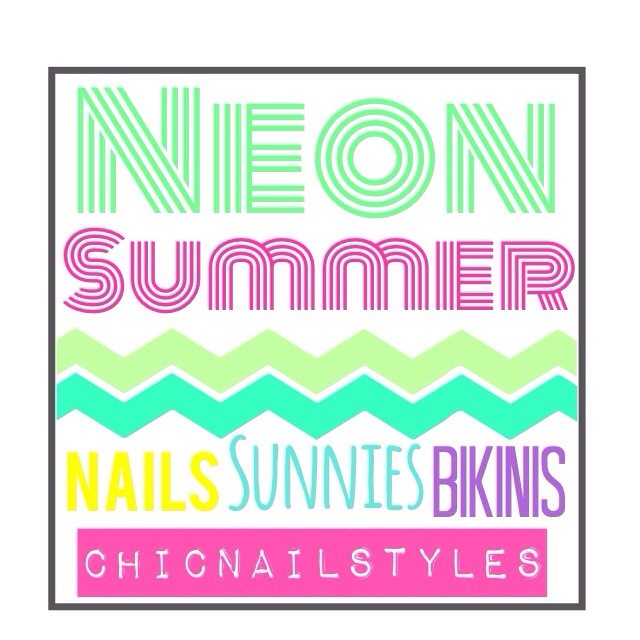 The other colors are super bright and neon and perfect for summer! Gelish recommends putting an Artic Freeze base coat under the colors to enhance the brightness and coverage which I believe is a great idea…I do this frequently and it’s worth the extra time and energy. I seriously never thought the “Neon 90’s” would ever come back in style…but I was oh so wrong! They are back and better than ever! I LOVE all the neon color schemes going on these days. It’s perfectly acceptable to sport bright neons in your outfits, nails, makeup…I’ve even seen some really cute home decor neon themes! 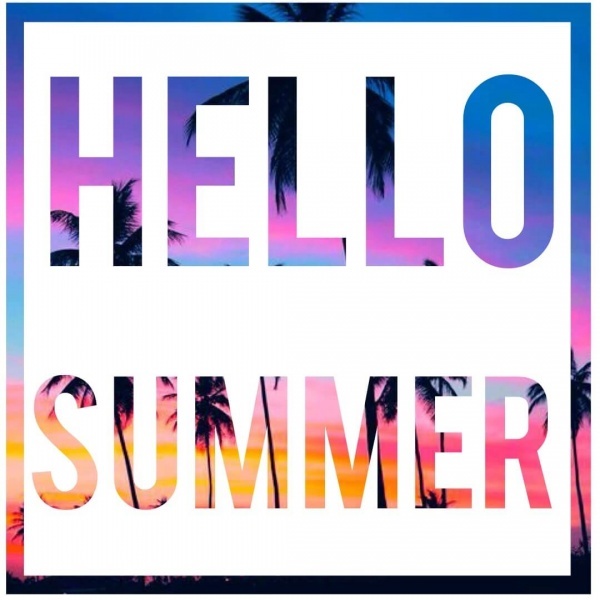 Here’s to a bright, fun, neon summer! Enjoy! China Glaze Gelaze offers so many amazing neon colors to choose from! 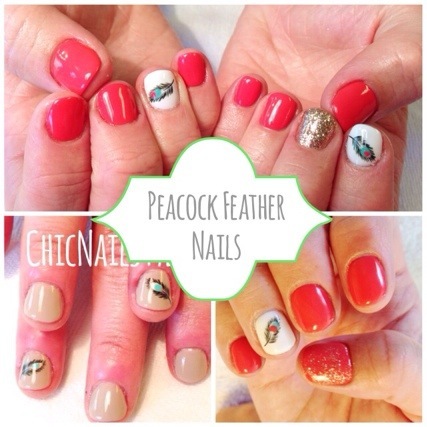 Well it turns out the peacock water transfer nail tattoos are really popular! I’ve been doing them a lot lately and so far mainly with a coral/pink color. Which I love! 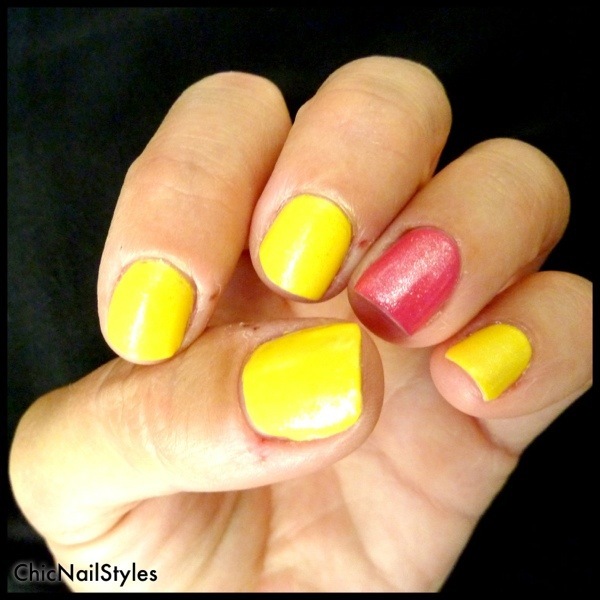 The Best Yellow Nail Polish Hands Down! Bicycle Yellow by Creative Nail Design–the best yellow nail polish! My Swimsuit Wish List–And The Perfect Polish To Go With The Perfect Swimsuit! Swimsuit season is upon us here in sunny southern Utah. I’ve always loved summer time, but in years past, I would dread any occasion where a swimsuit would be the appropriate dress code. Which happens a lot for my family because our in-laws have an amazing pool and backyard and my little boy loves spending time at the Washington Rec Center.